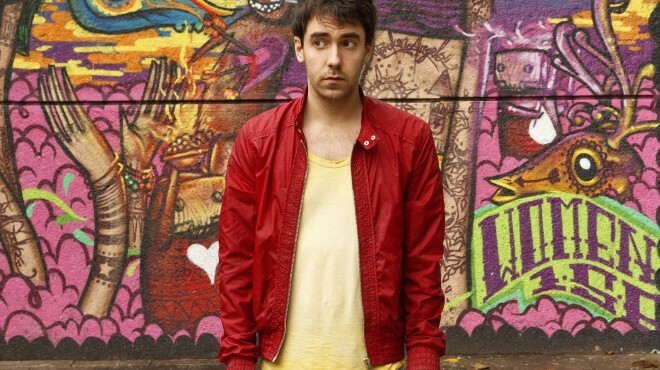 Adam Hess is one of the bigger names on the Free Fringe, as the line of fans with reserved seats and the secondary stand-by queue makes clear. Running his own show with a self-introduction and a Zune loaded without outro music, he’s an incredibly likeable performer. His fast-paced, free flowing delivery combined with a tendency to ramble into the surreal makes his material almost Python-esque. There is never a dull moment in this show, which feels nicely paced despite the rapid fire of comedy. Even when Hess is at his buoyant best, it never feels too much or irritating. His charisma comes across as natural charm and uniqueness rather than forced foolishness or annoying absurdity. The audience is always engaged and on board with wherever Hess chooses to take them next, whether it’s reading from a list of his own hilarious embarrassing moments, or his struggle with Scotch Eggs. If you’ve not realized already, there’s no running theme or sense of direction in the show, giving it an almost improvised feel as if Hess is just firing off on anything that pops into his head. But this is a show that’s delicately and expertly prepared. Hess is bound for a much bigger stage than this one on the Free Fringe. But while he’s still honing his craft here you’d be mad not to catch him before all your mates are quoting his jokes at you.